Welcome to French reality TV. This is a fun little kit I bought my husband from the hit show Un Dîner Presque Parfait, An Almost Perfect Dinner, launched here in 2008. It's got a book with some of the contestants' top recipes, blank menus and the all-important score cards. Front and center is a guessing game and trivia card set that includes such questions as "Brocciu, a goat cheese, comes from what region?" a. Auvergne, b. Brittany c. Corsica. 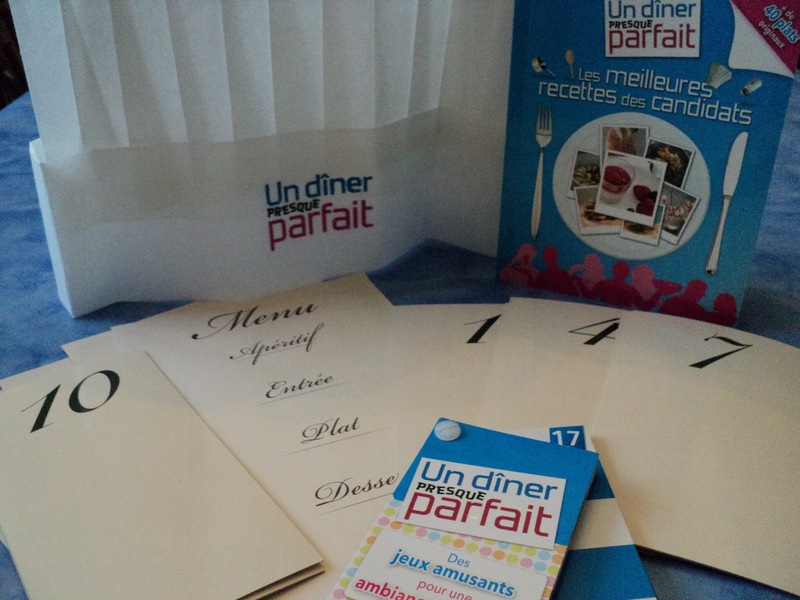 Un Dîner Presque Parfait has surely inspired many French people to hone their culinary skills on friends and family. Like armchair athletes, there are many comments such as, "Oh, my <fill in name here> sauce looks better than that" and "Ooh, that looks a bit long to make," etc.... Marketers have done well with cookbooks, DVDs and board games based on the show. At least they have with our household. The show's based on Britain's Come Dine With Me. Its U.S. equivalent would be TLC's Dinner Takes All. c. Corsica. In French: La Corse.